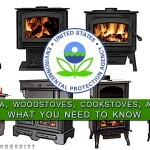 These wood burning cook stoves with boilers are not required to meet EPA regulations. 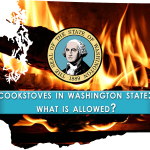 The North Hydro and Concept 2 Max Hydro both fit the EPA’s definition of a wood cookstove, which are currently exempt from EPA regulations, and these stoves meet Washington State wood cookstove standards. 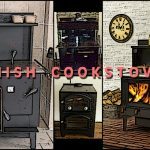 The Concept 2 Max Hydro Wood Cooking Range and the Tim Sistem North Hydro Boiler Cookstove are designed with modern cooking and heating in mind. 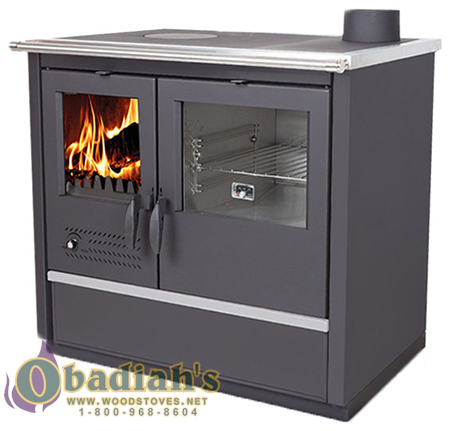 These wood boiler cookstoves come standard with glass doors on both the firebox and oven. The glass door on the firebox has a first class air-wash design for a clean efficient burn, resulting in a crystal clear view of the crackling flame. 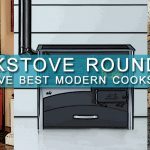 The sophisticated design of these wood cookstoves are aesthetically appealing to those wanting a contemporary efficient heating, baking, and cooking source. These European-made central heating wood cooking ranges provide the ability to connect into hydronic radiant heating. 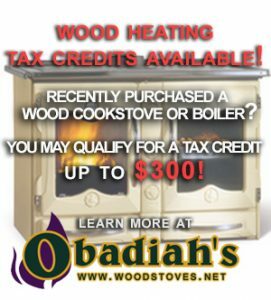 Yes, you can now efficiently heat your home with hot water and while also having the ability to use the cooktop or wood-fired baking oven. 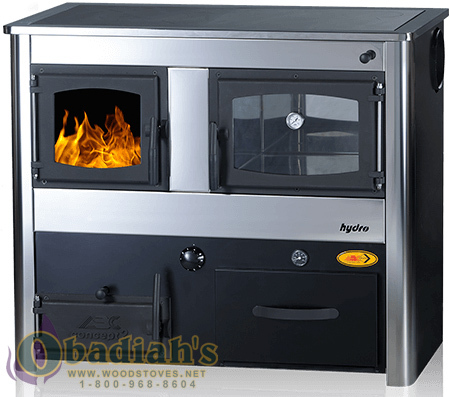 The innovative design of the wood burning hydro cookstoves is sure to please anyone who is familiar with wood and coal heating. These wood cookstoves with boilers also have a complete, easy to use damper control dial on the front of the stove, ensuring your satisfaction. 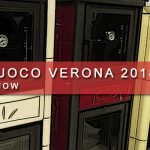 These stoves are available in a wide variety of colors to match all styles of decor: The North comes in stainless steel or black, while The Concept 2 Max Hydro is available in red, inox (stainless), gray, beige, and white. These wood-burning central heating stoves are diverse in their heating capabilities. The Concept 2 Max Hydro also provides the option to burn coal- meaning it burns hotter, thus producing more BTUs. 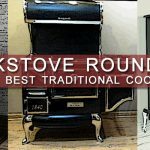 Personally, I love a wood cookstove that offers the ability to burn coal. I believe this is a great feature, as coal stoves pull in combustion air from underneath the firebox – this essentially works as a super charger when burning wood, allowing for easy ignition of the first fire. 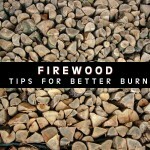 In addition, if the wood-burning cook stove can handle the high temperatures of coal, it is definitely built to last. 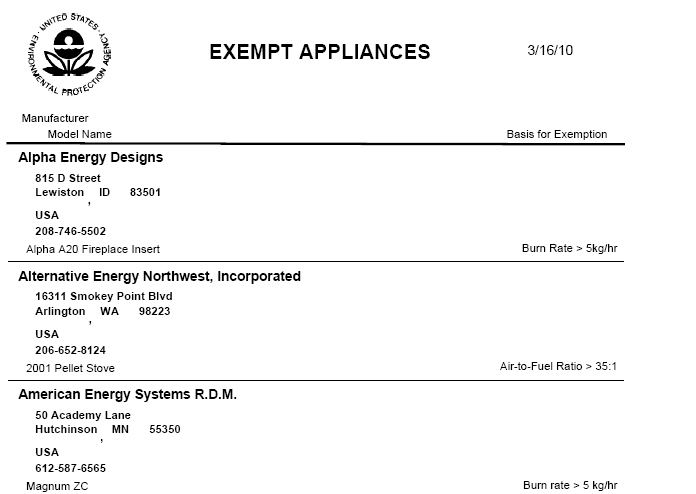 However, please keep in mind that the North Hydro Wood Boiler Cook Range is rated to burn wood only. 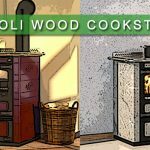 You will be impressed with the ease and functionality of use of these wood fired cookstoves with boilers. 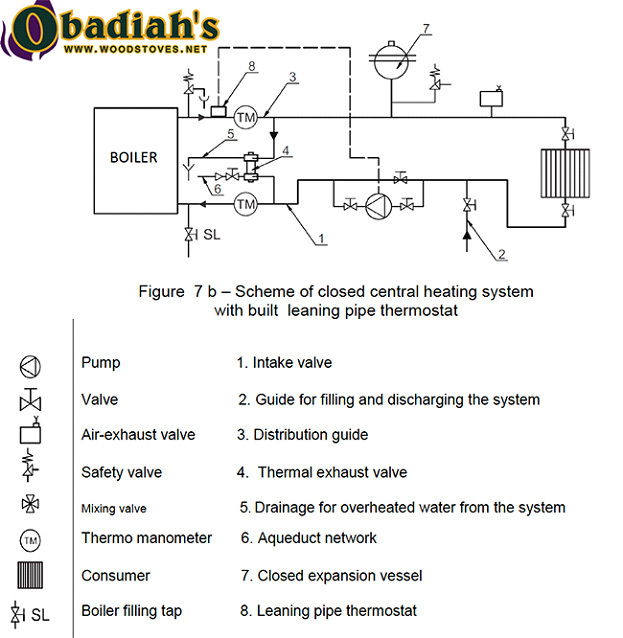 That said, you must understand that it is critical that all boiler systems are set up properly and it is recommended that you consult a certified plumber when installing these systems. 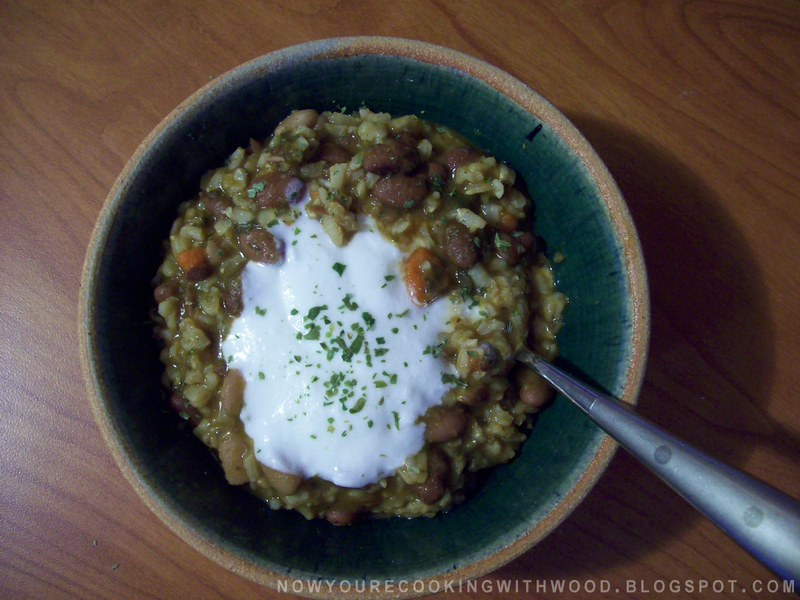 With a properly installed system, you will be pleased with the ease of the maintenance of the stove. The cooktop is removable, providing easy access for top and oven cleanout. 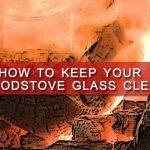 Ash cleanout is located directly below the firebox, meaning all cleaning access is available from the front of the stove, perfect for tight clearance installations. The Concept 2 Max Hydro & Tim Sistem North Hydro can be plumbed into a wide variety of central heating systems, including both open and closed loop systems. Wood Hydronic heating can be used for different applications, including residential or commercial heating, radiant floor heating, domestic hot water, heating spa or swimming pool, greenhouses, farming, and snow melting. Every space being heated is considered to be its own heating zone and should be installed with its own independent circuit controller, thermostat, and aquastat. Each heat zone will call for the correct water temperature depending on its heat distribution and room temperature required. These wood cook stove with boiler water jackets will produce heat in two efficient distribution forms. 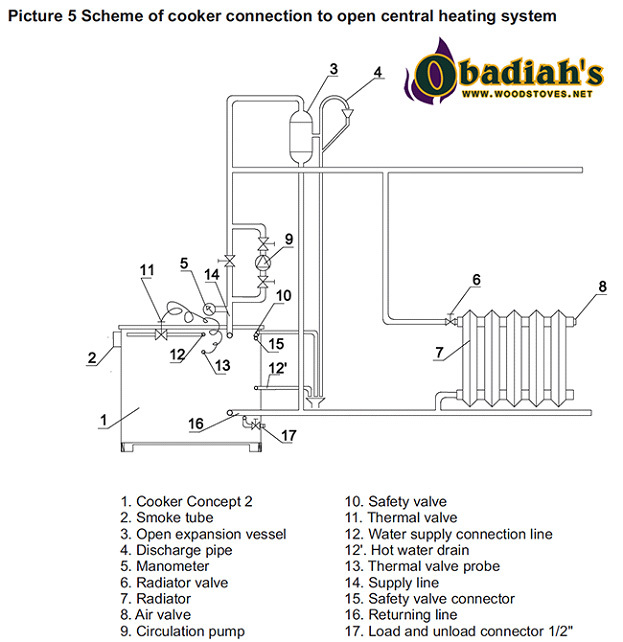 First, the boiler will provide radiant convection heat within the room where the stove is located, heating an area of approximately 1,000 square feet. Second, you can plumb the boiler system which produces approximately 26,000 BTUs on the North Hydro or 75,000 BTUs on the Concept 2 Max Hydo. This allows you to use these appliances as hot water central heating with the added bonus of a wood-fired oven that can be used as your primary residential heat source*. The boiler will heat the water that the pump transfers through the pipes, providing hot water to the room-heating units that are using radiant heat and convection to heat the room air. These units are usually called baseboard heaters, panels, radiators or convectors. 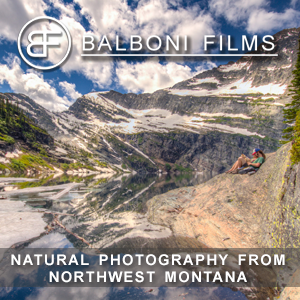 *Note: Depending on size of home, insulation, and external temperatures. 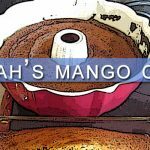 You can now find these products via Obadiah’s!